The 5FT high Lap Panel Overlap Gate has been designed to compliment the 5FT high Lap Overlap panels, just to enable that finishing touch to your project where pedestrian access is required. 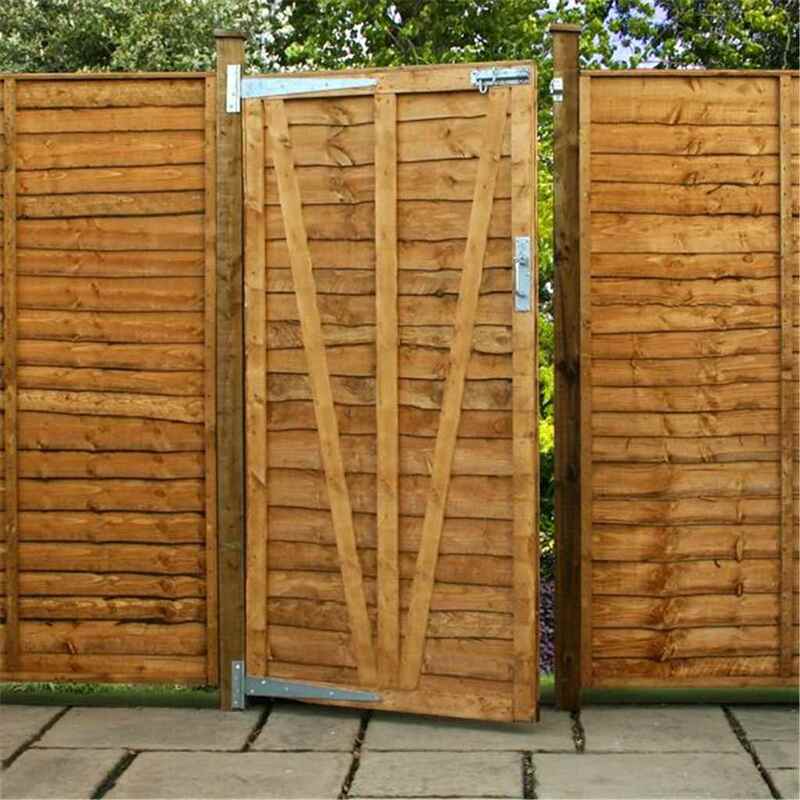 Clad with Overlap Lap Panel boards that are partially horizontally overlapped, this traditional panel gate offers a semi-rustic appearance that will suit most gardens. Each Lap Panel gate is fully framed, 910mm (3' approx) wide and complete with a top capping. 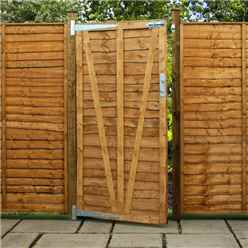 Formed with FSC-Certified timber sourced from managed resources, this sawn panel gate has been dip-treated at works.